Another year has spun around and spring will return again. Celebrate the cycle and help your guests do the same. 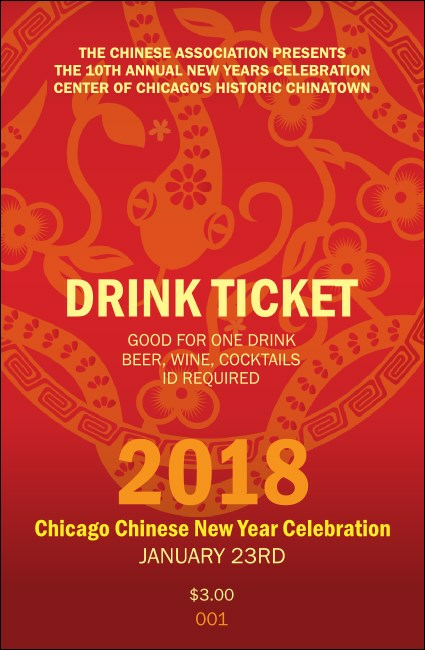 This Chinese New Year Flower Snake Drink Ticket makes it easier for everyone to raise their glass in celebration. Security numbering and eleven lines of custom text come standard on this lucky red ticket. Watch your events unfold in perfect harmony with TicketPrinting.com.